I’ve been working on baby quilts lately, but I’ve also finished and ironed my Scrappy Trip Along quilt top, and am ready to send it off to be quilted by someone better at it than I am. 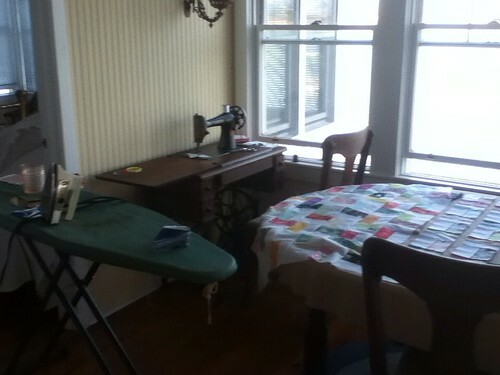 Here’s my question: can anyone recommend a quilter? People you’ve worked with, or about whom you’ve heard good things? I’d prefer free-motion quilting over pantographs, but I mostly want to go with someone who has pictures of her/his work up that I can look at. Someone in the continental US is best for shipping costs. Someone who could charge me for their batting (instead of me mailing it to them) would be ideal. Previous Previous post: Why, hello July! 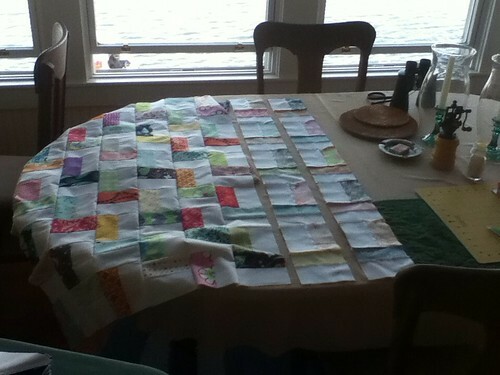 Next Next post: Recipientless baby quilt and Fresh Sewing Day linkup.